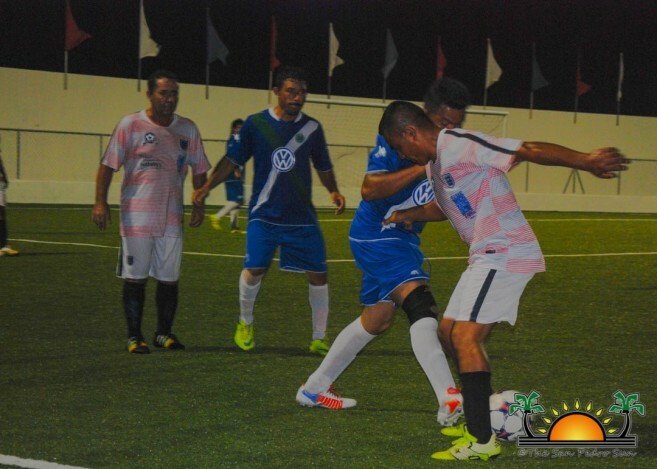 The Ambergris Stadium in San Pedro Town was the venue for two exciting football matches on Saturday, June 24th. 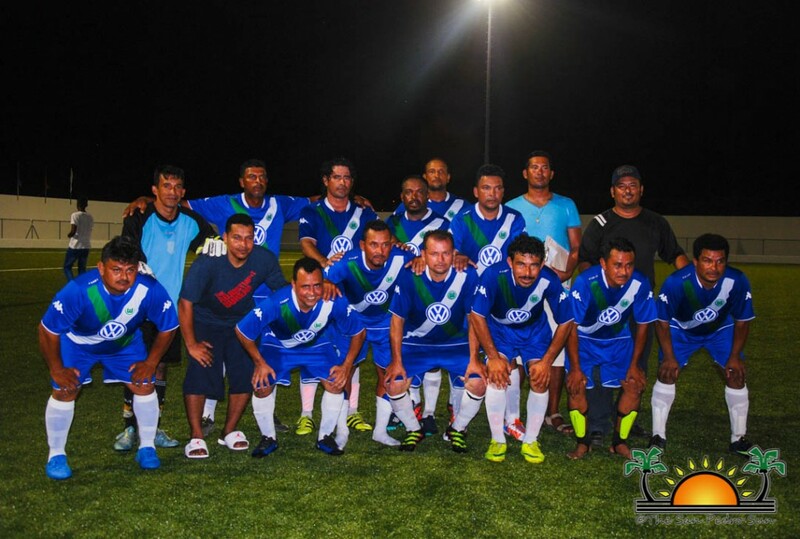 The first game was for the Xcalak Championship, between Jokers F.C and the San Pedro Pirates F.C. 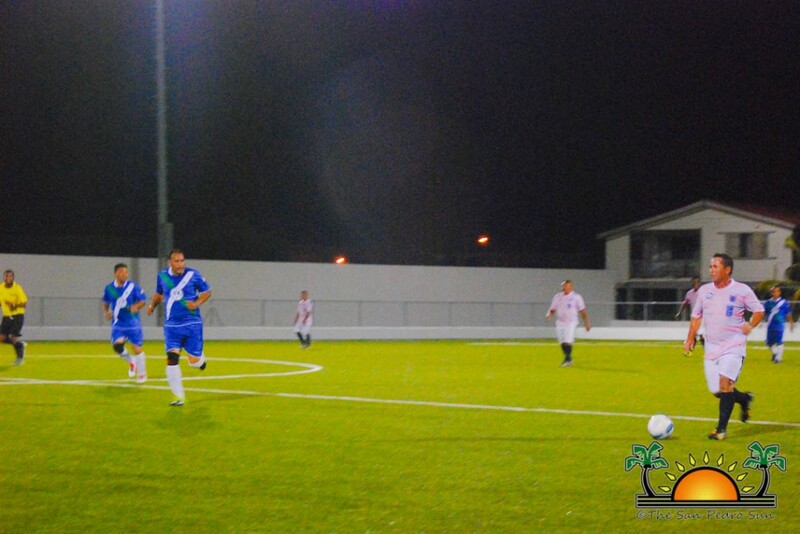 This was followed by a match in the Over 40 League, between the San Pedro Veterans and Mango Creek Veterans. 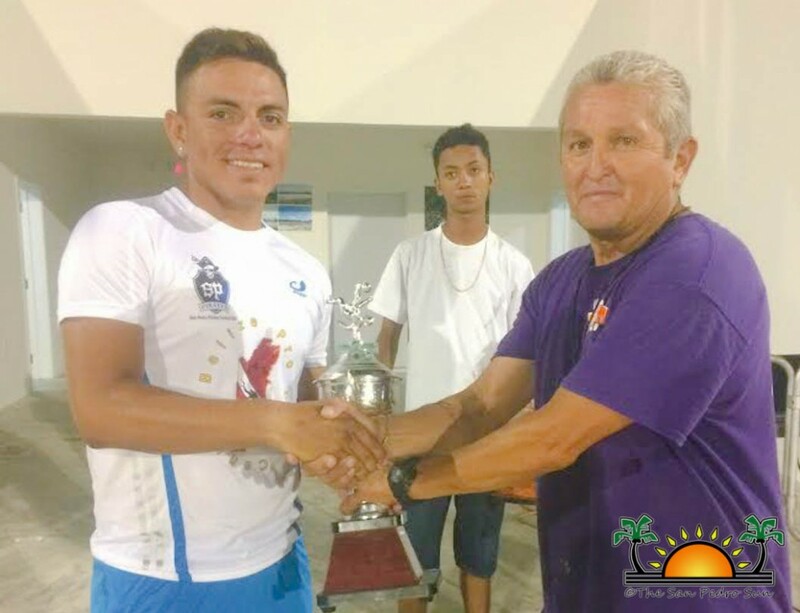 While the San Pedro and Mango Creek Veterans tied 0-0, Jokers FC triumphed over the San Pedro Pirates to win the Xcalak Championship. 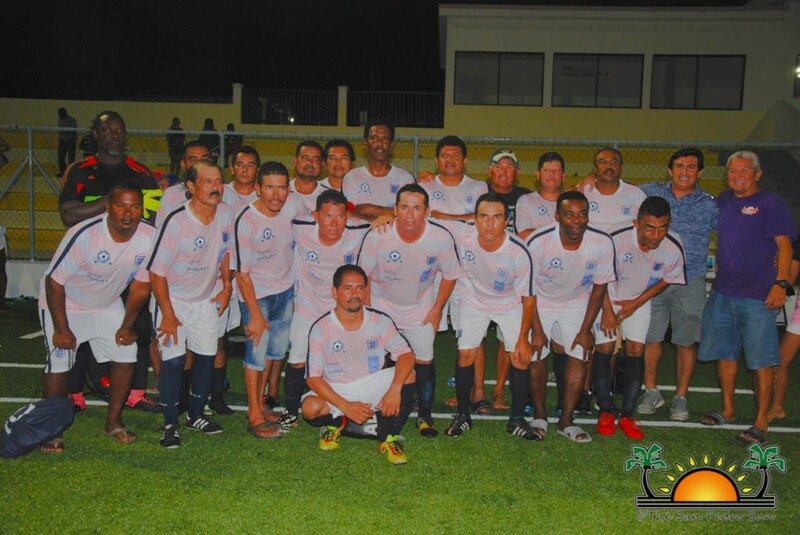 Jokers F.C and San Pedro Pirates F.C, could not finish their last game during the tournament at Xcalak, Mexico on June 3rd, due to inconveniences at the football field. They picked the backup game at 5PM, and after 90 minutes, there were no goals. Thus the teams went into penalty shots. 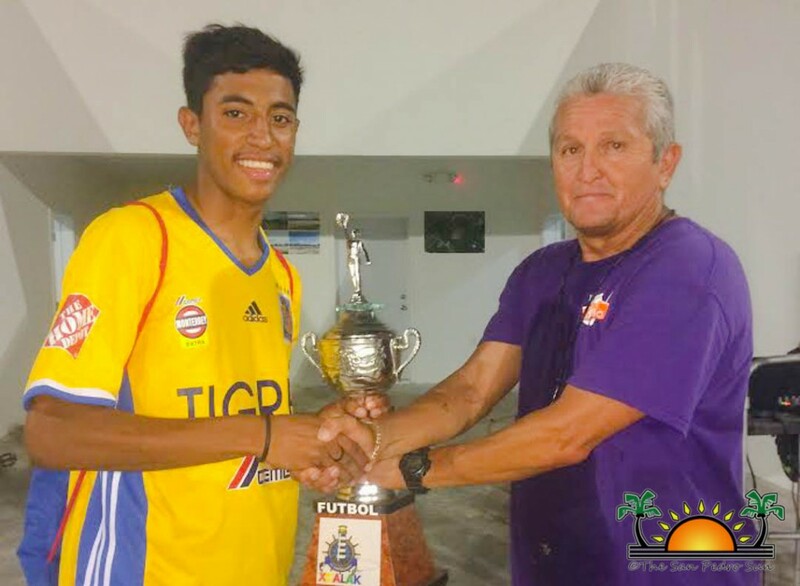 San Pedro Pirates’ goal keeper Saul ‘Chapo’ Coba gave the team the lead first, but, after a few rounds of shots, Jokers F.C managed to win, the match becoming the champions of the Xcalak Championship. 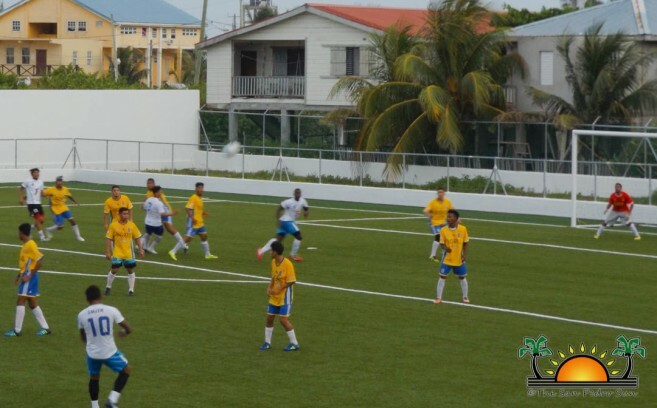 The second game saw San Pedro Veterans facing Mango Creek Veterans, who had travelled all the way from southern Belize. Both teams made several attempts to score in the first half, to no avail. 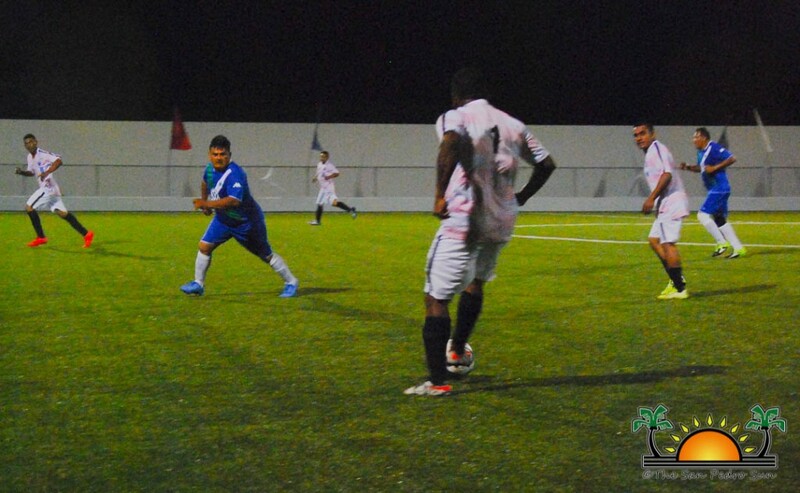 During the second half, the intensity grew with dangerous corner kicks, and spot kicks. However, they were not enough to make a difference in the game. At the final whistle, the match ended in a 0-0 draw with both teams gaining one point. 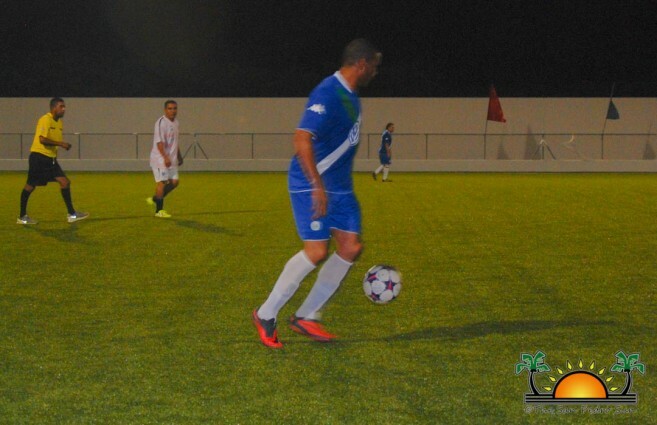 The League will be back on the island on Saturday, July 8th for another round of games. The San Pedro Sports Committee thanks all the teams for participating and continues encouraging football fans to always come out and support.